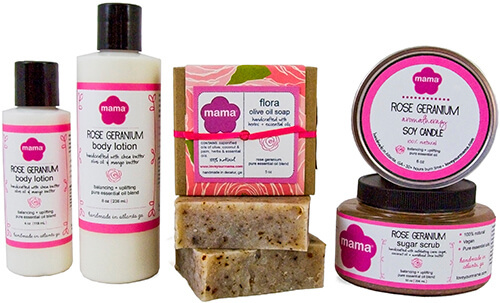 Our Flora scent is 100% pure Rose Geranium essential oil. This fragrant oil isn't your granny's rose scent. It smells like a tea rose combined with heady geranium and delivers a fresh and funky floral note. Available February 1st - May 15th.